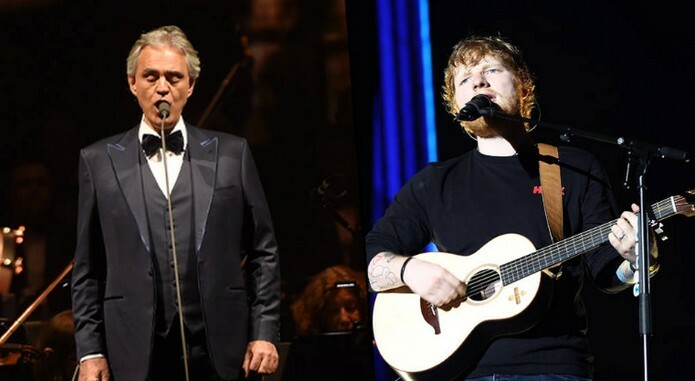 The Italian tenor (Andrea Bocelli) joined the pop star (Ed Sheeran) on stage in London, during his world tour, to sing their duet ‘Perfect Symphony’. When Ed released the Italian version of his single on 15 December last year, the music video became the highest trending that day on YouTube. 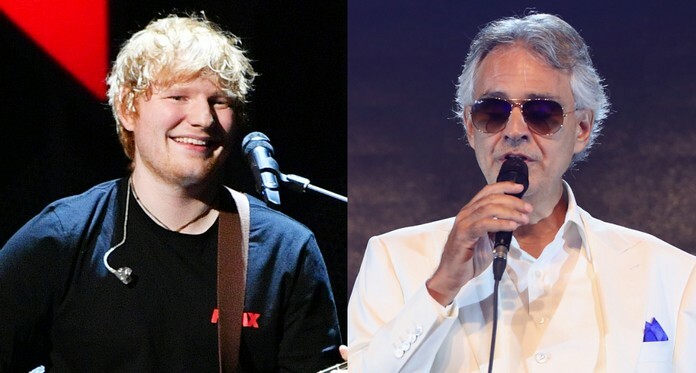 ﻿ Andrea Bocelli already made the headlines this week after scooping the Classic BRITs Icon Award at the Classic BRITs. Plus, in October Bocelli will release Sì, his first album of new material in 14 years.